New Shoe Styles at Zappos.com! 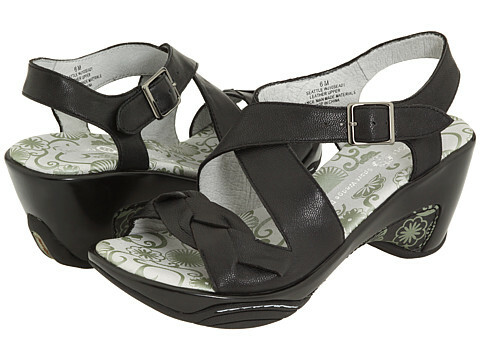 Here is a great sandal with a lower heel to help you along during vacation sightseeing. Wedge sole offloads the forefoot. 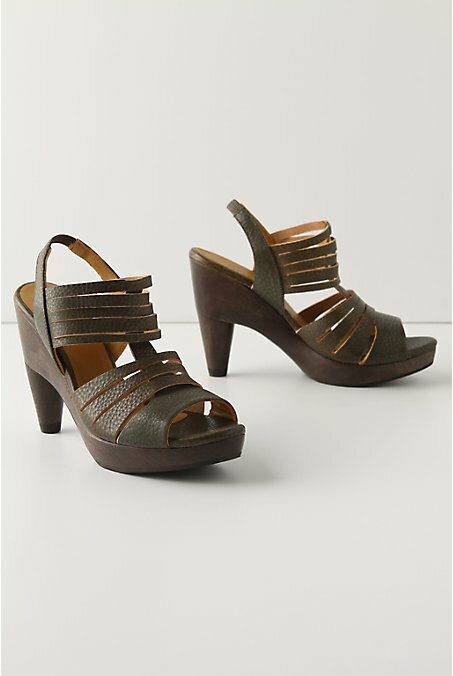 Check out their other styles with this similar sole for the same benefits! This one has a little wicked appeal. It’s 3 3/4 heel minus the one inch platform makes it just under a 3 inch heel. This combined with the rocker forefoot will get you a little farther in your day as opposed to a stilletto. Have fun! Don’t these look good enough to eat? Yes, a 4 1/2 inch heel! The platform adds an inch, so really it’s a 3 1/2 inch heel rise. 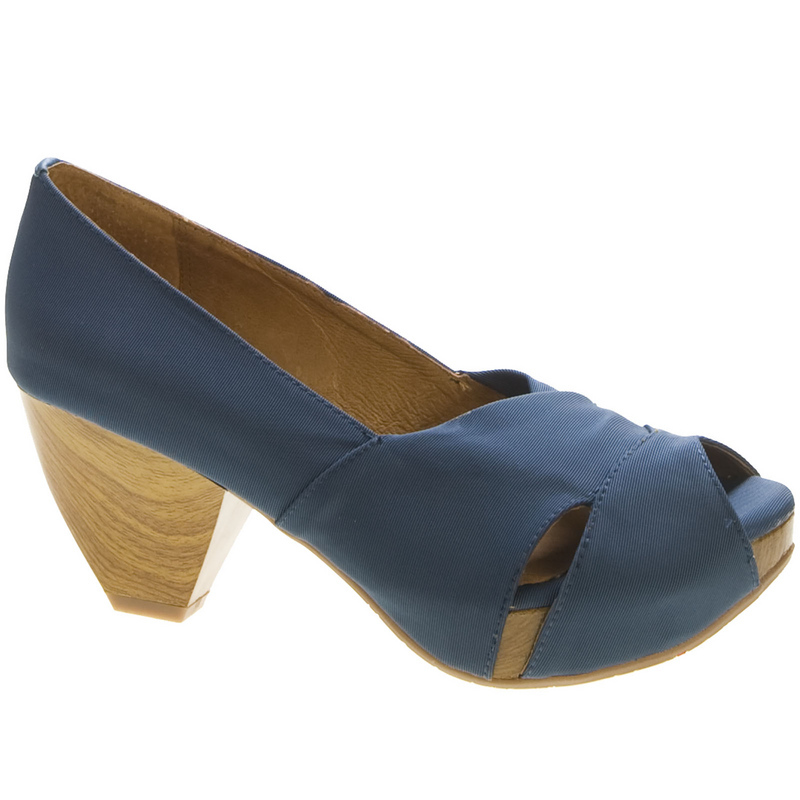 The wooden heel and shank prevents flexion and makes the shoe work instead of the foot, preventing fatigue. Pick this one up here. This is a pretty fabric peep toe pump from Miz Mooz. It has a rigid shank which takes stress off of the midfoot. Comes in three colors! Another great Clarks cutie with a peep-toe and in five colors to choose from. With a strap around the heel to reduce fatigue on the toes (so they don’t have to “grab” to hold the shoe on). Also with a wedge and rocker combo to take stress off of the ball of the foot. For all you men out there, I’m so sorry you don’t have this cute option to reduce the pain under the ball of your foot! This beautiful sandal is made with Nike Air technology. It is with a 3 3/4″ heel, but is also a platform, which takes away some of the heel height. The vamp of the shoe comes up around your foot, preventing slippage at the heel. You gotta love the mix of patent and matte leather!